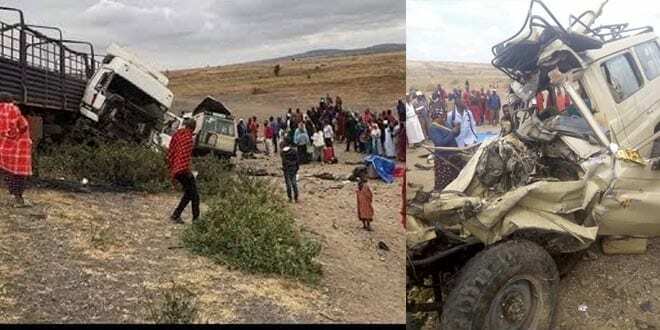 In Tanzania, six people, including four foreign tourists s from Italy and Spain as well as two locals, were killed on September 1st 2018 when the vehicle they were in collided with a lorry at Nanja Village in Monduli district, about 65 km from Arusha city. Tour operators have contributed Tsh 6 million to the families of two Tanzanians killed in the recent road accident that cut short lives of four foreign tourists. According to the operator, Tabia Tours, María Belén Jiménez, María Victoria Aláez, Juana Jiménez and Sebastien Giordani (all in their forties) were those who lost their lives. Arusha Regional Police Commander, Ramadhan Ng’azi mentioned Tanzanians who lost their lives as Mr Michael Fanuel (32) a driver of tour van and Raymond Mollel (37) a chef both employees of Tabia Safaris Company. “We are shocked and saddened by this tragic accident; our members have contributed significantly to assist funeral costs for Tanzanian victims,” said the chairman of Tanzania Association of Tour Operators (TATO), Mr Willbard Chambulo. Mr Chambulo added: “However, we are in touch with respective embassies and relevant officials to see how we can console the bereaved families”. In the meantime; on behalf of TATO members, he expressed heartfelt condolences to the families of the bereaved, affirming that his members are standing with them at this difficult times. Representing 300 members, TATO was established 1983 to foster the interests of the licensed tour operators to carry out lobbying and advocacy for and on behalf of its members, to coordinate public and private sector partnership. TATO’s overarching objective is to be an effective change agent for fostering an enabling business environment and to promote the private sector’s regional and global competitiveness in tourism trade and investment.